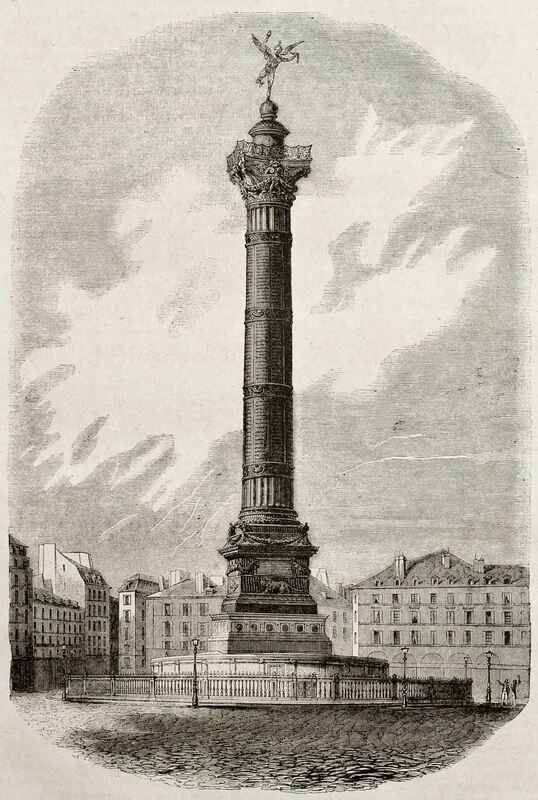 The Place de la Bastille is a square in Paris where the Bastille prison stood until the "Storming of the Bastille" and its subsequent physical destruction between 14 July 1789 and 14 July 1790 during the French Revolution. No vestige of the prison remains. The July Column which commemorates the events of the July Revolution (1830) stands at the center of the square. Other notable features include the Bastille Opera, the Bastille subway station and a section of the Canal Saint Martin. Prior to 1984, the former Bastille railway station stood where the opera house now stands. The Boulevard de la Bastille is the southwestern-most street of the 12th arrondissement of Paris, situated in the quartier called Quinze-Vingts. It overlooks the east side of the Paris marina, known as the Port de Plaisance or Port de l'Arsenal, with which it forms a boundary with the 4th arrondissement of Paris. (The Port de l'Arsenal is in fact the terminus of the Canal Saint-Martin, which begins at the Place de Stalingrad.) The boulevard also lies directly north (across the Seine) of the border between the 5th arrondissement and the 13th arrondissement of Paris. With a total length of 705 meters, the boulevard starts at the juncture of Pont Morland (Morland Bridge, which covers the lock separating the Canal Saint-Martin from the river Seine) and the boulevard Quai de la Rapée. It ends at the Place de la Bastille, home of the Opéra Bastille. The boulevard was given its current name of Boulevard de la Bastille in 1898, due to its contiguity to the Place de la Bastille. Formerly it was known as the Rue de la Contrescarpe. The boulevard is home to 52 apartment buildings and is bounded by two Métro stations: at its beginning by the Quai de la Rapée station serving line , and at its end by the Bastille station, serving lines. 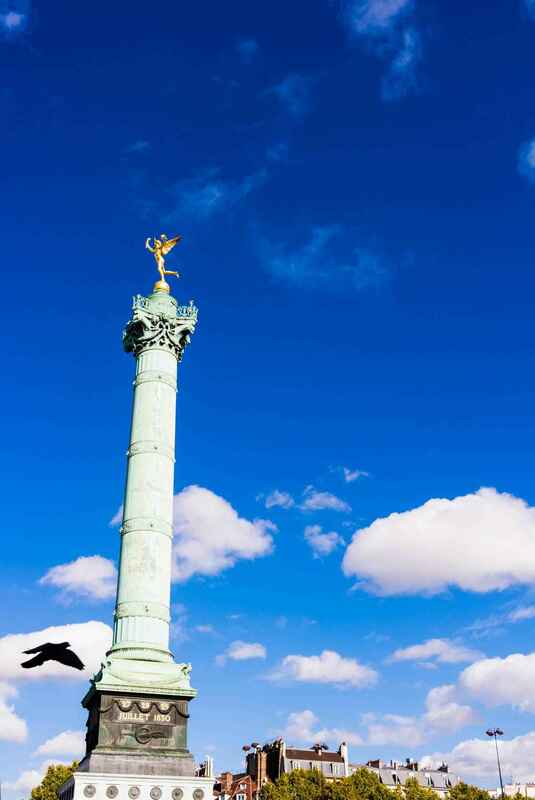 Place de la Bastille - Introduction | eTips Inc.